20 years is a long time to be publishing a magazine – ANY magazine. Given the track record of publications centering on games, in all modesty, 20 years is incredible! In looking back, we thought it would be interesting to see how we got from Point A to Point B. So, here is our timeline of events that have brought us to our 20th year. The timeline actually breaks into two parts. From 1986 through 2001, GA REPORT was a hard copy publication (Volume 1). With the Winter 2002 issue, Gamers Alliance moved into cyberspace with Volume 2 of GA REPORT totally online! Each issue of GA REPORT is filled with insightful reviews of games and more! Here are some of the highlights. Fall 1986 – The first issue of GAMERS ALLIANCE REPORT appears with a Fall 1986 cover date. The issue was pounded out on a typewriter! (Remember those?) It consisted of 12 pages that set the template for what was to follow: an editorial, an information center for news about games and reviews – in this issue, 11 of them! Games featured in our inaugural issue included Avalon Hill’s Flight Leader, Nuke (a Risk-like game that added a level of nuclear terror to play), Pursue the Pennant (a sophisticated statistical baseball simulation) and Wildcatter (a nicely produced game of oil exploration). All of the reviews were written by me and the only graphics/photos that appeared were on the cover. A primitive issue by contemporary standards but a first step in the right direction. Winter 1987 – Our second issue expanded to 16 pages and this time, a few graphics and a few more reviews, totaling 13 this time, were added. 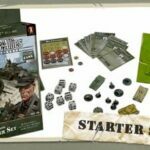 We featured Power:The Game, an excellent wargame without dice with elements of Diplomacy. (This review was later reprinted in issue 111 of the prestigious wargame magazine Strategy & Tactics). 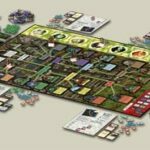 We also reviewed the two latest Sid Sackson games: Doorways to Adventure and Doorways to Horror. As to be expected with any Sackson game, the game play exceeded the medium of VCR games. Our feature on Therapy: The Game, a little gem of a game published by Gambit Games up in Canada, had unexpected results. 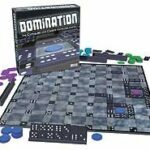 Soon after our review, Pressman Games signed up the game for larger distribution. I still have the letter from the designer giving us credit in helping them make that deal! GA REPORT was starting to exert a little clout! Summer 1987 – GA REPORT expands to 20 pages! Not a good idea as printing requirements made 16 pages a better fit. 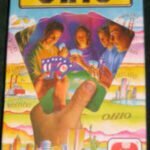 Still, the odd size allowed us to feature a new game called Pictionary as well as a game from West End Games which would become a cult classic: Kings & Things. Fall 1987 – In launching our second year of publication, we kept the 20 page size despite resistance from our printer! 13 reviews in this issue including Tales of the Arabian Nights and the original Illuminati game. Winter 1988 – A return to the standard 16 page format. Games featured included the latest in the Milton Bradley GameMaster Series, Shogun, as well as the return of a Sid Sackson classic: Bazaar from Discovery Games. Summer 1988 – We tried a slick paper format with this issue. The experiment lasted two issues before we went back to standard stock. Spring 1989 – A new feature is introduced: Game Classics. This was designed to highlight games no longer in print that were of superior quality. Our first honoree was Ploy from the esteemed 3M line of games. Winter 1990 – Up until now, I was chief cook and bottlewasher, doing all of the reviews, editorials and any grunt work that needed to be done. With this issue, we welcomed another reviewer: Old Furface. 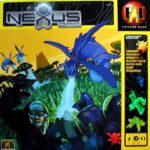 Furface did a series of computer game reviews – not the “shoot ’em up” arcade variety but those that offered a more gamer-oriented perspective. His first review was of Mindscape’s The Colony. Furface would do a total of 34 reviews for GA REPORT before we made the editorial decision to phase out computer games and concentrate solely on non-electronic games. Spring 1990 – Having grown up reading comic books with Batman a particular favorite, it was a great pleasure for me to actually feature the Dark Knight on the cover of this issue (to go along with a feature on the DC Heroes Roleplaying Game: 2nd Edition). 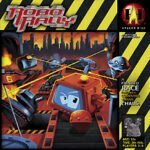 Fall 1990 – Another new review writer joins the fold and it’s no less than the legendary game designer Sid Sackson. 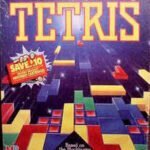 Sid launches his “Sid Sackson Says” column for us with three reviews: Tetris (the Milton Bradley boardgame edition), Cue Me! and ASAP. Sid’s reviews always offered something special to our readers. In this case, his review of Tetris offered a play variation that improved the game! Sid would continue to write for us in his capacity as Contributing Editor for years doing 71 exclusive reviews in total. Fall 1994 – Another new reviewer gets added: Steve Kurzban (aka Kban). Steve ran a Strat-O-Matic Baseball League on Long Island (as well as a backgammon club). 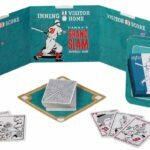 His first review was on the Strat-O-Matic Computer Baseball Game (Version 5.0). Steve would later do a review on Power the Game: Computer Version for Windows in the Spring 1995 issue before shifting his focus to quality European games. Winter 1996 – This issue sports “Our 10th Year” on the cover. Who knew??? Spring 1996 – Kban begins reviewing European “designer” games and starts with TWO reviews: Bakschisch and Reiner Knizia’s Tutanchamun. Steve would continue to do reviews on Euro style gaming chalking up 47 reviews in Volume 1. 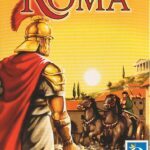 Summer 1997 – Marty Goldberger, one time SPI game developer (Campaign for North Africa) and designer (Inkerman), offers a review of Genius Rules. October 1997 – Gamers Alliance and GA REPORT get feature treatment in GAMES Magazine. 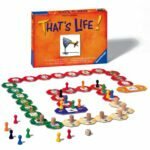 Spring 1998 – We feature what proves to be the start of a whole family of abstract games with our review of GIPF by Kris Burm. 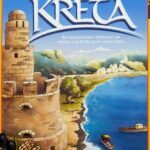 Kban chips in with reviews of three new European games including one by Reiner Knizia called Euphrat & Tigris and one by Doris und Frank called Ursuppe. Fall 1998 – The first of the Mystery Rummy series designed by Mike Fitzgerald is featured in my review of Mystery Rummy Case No. 1: Jack the Ripper. This was a “fleshed out” review of what I wrote for GAMES Magazine. 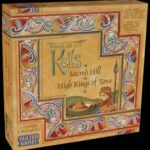 Kban uncovered a few European games that have since reached classic status: Medici and El Grande. Plus, we welcomed game designer Al Newman (Super 3, Babuschka, Tin Soldiers, Dynasties, Winds of Plunder etc.) to our roster of esteemed writers with his take on Richard Garfield’s Filthy Rich. Al would contribute 18 reviews to Volume 1. Spring 1999 – I wrote a feature on a new adult party game called Apples and Oranges. I played it at the New York Internatinal Toy Fair and was immediately impressed. 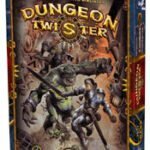 I called the game “one of the best new party games around”. But between the time the review was written and the game released for public consumption, the name of the game changed! The new name became Apples to Apples. But my opinion didn’t change. While the game’s name did not survive, my words did. You can still read them on the Apples to Apples box! Fall 1999 – For the first time, we welcomed TWO new contributors in the same issue. Game developer Nick Sauer who reviewed Siesta and Button Men and (Professor) Dave Rapp who reviewed Brawl. Nick would contribute 4 reviews while Dave would write 13 reviews for Volume 1. Summer 2000 – Game designer and developer Frank Branham joins us with a review of Chebache, an unusual backgammon variant. Winter 2001 – Gamer Ward Ahders appears in our pages for the first time with his take on Java by Michael Kiesling and Wolfgang Kramer. Summer 2001 – We review a little game that would become really big: Carcassonne. Fall 2001 – Soaring costs in printing and paper make this the last “hard copy” of GA REPORT and the last issue in Volume 1. 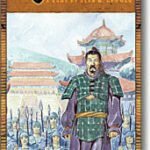 Among the final hard copy reviews: History of the World (Avalon Hill written by Herb Levy), Don (by Kban), Chrononauts (by Marty Goldberger), Bali (by Al Newman) and Ghost Chase (by Nick Sauer). Plus an announcement that starting with the Winter 2002 issue, GAMERS ALLIANCE REPORT would be totally online! Winter 2002 – First issue of Volume 2 as GA REPORT moves into the 21st Century and becomes a totally online publication. Through the wonders of cyberspace, we now publish in full color! Even better, our savings in expenses enabled us to cut the GA membership cost by 80%! Another bunch of quality reviews appear to launch the new GA REPORT including contributions by Al Newman (Cape to Cairo) and Marty Goldberger (Manitou) as well as another entry in our Game Classics series: Sid Sackson’s Holiday. November 2002 – With the passing of Sid Sackson, we publish a special issue of GA REPORT honoring this great and prolific game designer. Our special issue includes a comprehensive listing of Sackson game designs (compiled by Nick Sauer) as well as some of the reviews done by Sid for GA REPORT, GA REPORT reviews on Sackson designs, tributes from admirers and more! Winter 2004 – Larry Levy joins the fold and contributes his first review for GA REPORT: Santiago. July 2004 – Gamers Alliance hits the airwaves in Africa as I’m interviewed about games on South African radio! Fall 2004 – First contribution by Ben Baldanza as he offers his views on Election USA. Winter 2005 – Al Newman gives an exclusive “behind the scenes” look at designing his latest game: Winds of Plunder. And with the Fall 2005 issue, we’re still going strong!